Is anyone else as obsessed with a matte white nail as I am? I put together this look quickly for an afternoon outing and really loved wearing it. It's super simple, super fast, and super chic. You could easily change up the colors to suit your mood, as well. 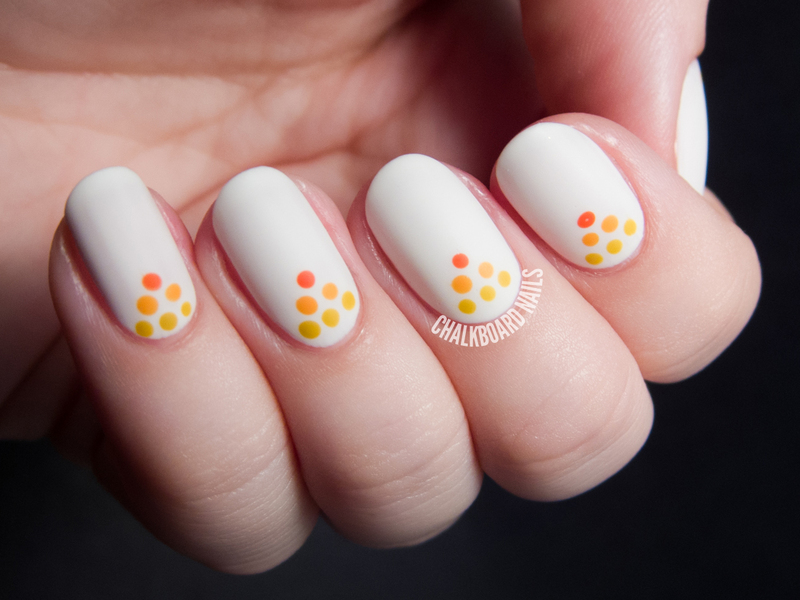 The process is simple: after painting on your base color, add three rows of dots in a pyramid shape. 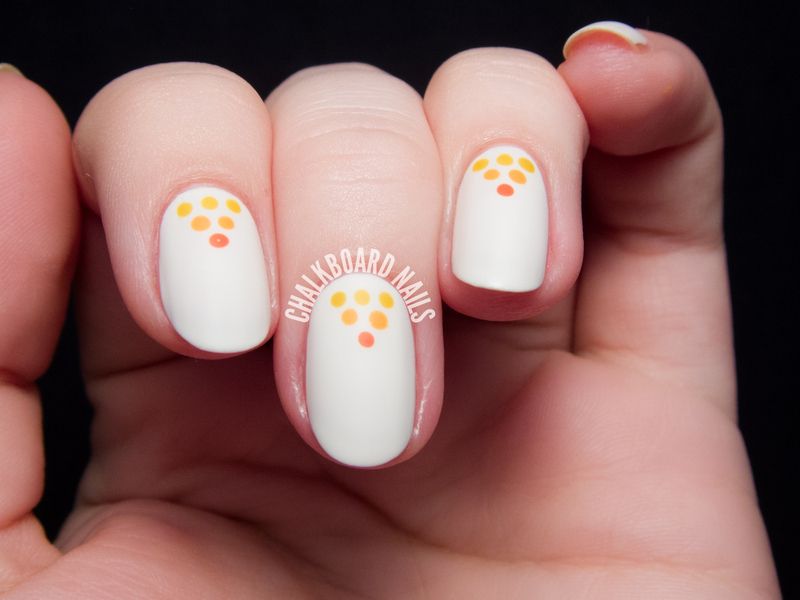 I used a dotting tool but you could also grab a bobby pin, toothpick, or other alternative! Finish with a layer of quick dry topcoat and then a layer of matte topcoat. The key here is choosing the colors for your dots; you want them to combine to create a gradient but also be distinct enough that they don't completely blend together. So here's my question: what are some other great fall color combos for this look? I'm thinking a caramel base with shades of dusty blue for the dots would look gorgeous. How would you wear it? So pretty and i love how simple these are too! How about a burgundy base copper, gold and rosé golden dots? Love the design! So cute and simple! I think a pale grey base with burgundy, navy, and purple dots for the gradient pyramid would also be adorable!